So, you receive an Instagram message from a friend expressing their dismay that you are number 38 on the Instagram Nasty List, clearly this is some kind of social media hell that you’ve landed in and something needs to be done! 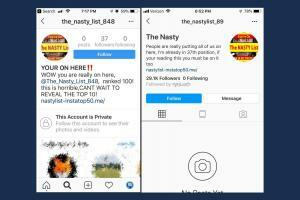 Actually, no, the “Nasty List” is a nasty new scam looking to steal your Instagram login credentials. The message is not really from your friend but from their compromised account. The “OMG your actually on here at 38” message will also include a link to the “Nasty Link”. 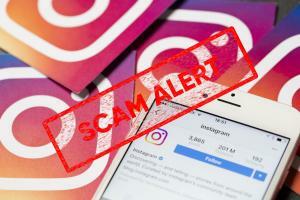 The link takes you to a very real looking Instagram login page, the very observant will notice that the URL for the login is incorrect but those panicking about social media purgatory may not.